Badshah to DEBUT as an actor alongside Sonakshi in a slice-of-life! After delivering several chart-toppers in recent years, Badshah is ready to explore new territory. 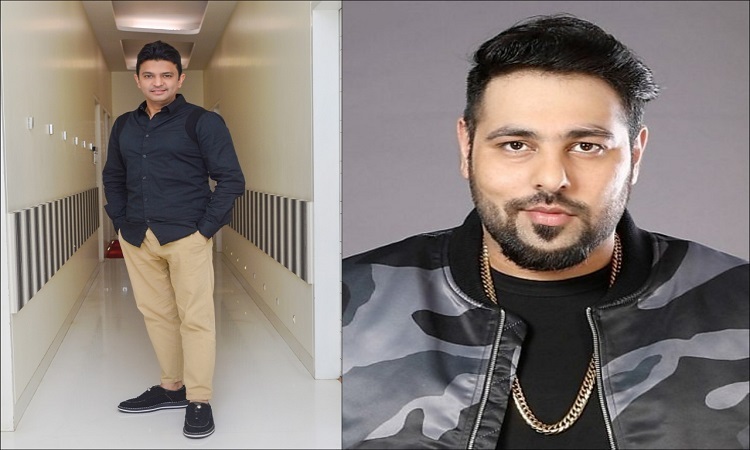 The rapper-composer finally debuts as an actor in Bhushan Kumar, Mahaveer Jain, Mrighdeep Singh Lamba produced 'yet-untitled' project helmed by debut director Shilpi Dasgupta and written by Gautam Mehra. Badshah will be playing a character close to his real selfa famous singer who is out-and-out a Punjabi Munda. Admitting to being nervous yet excited, the rapper said, "I am extremely nervous however I have taken the leap. This year I have undertaken many firsts, with my debut as a producer and now as an actor. Bhushanji and Mrigh both kept convincing me on how perfect the role is for me. It's a film which is so unique and different, whenever I think of it, brings a smile to my face. The added advantage is working with a super talented bunch and also my buddy Sonakshi who is a very dear friend and the others like Varun Sharma." He adds, "The character is basically who I am in real life - a singer-rapper from Punjab who is happy go lucky, likes humor. All this and after lots of convincing I gave in and have agreed to do the role. The team has started shooting for the film in Punjab, I will join them today." Producer Bhushan Kumar reiterated his confidence in his choice of actor, saying, that he has worked with him on several projects in the past and knows his traits well. "When I read the script and the character sketch, the only person who came to my mind was Badshah. Just like his screen persona, he is a jovial and funny Punjabi guy. It took a while to persuade him to take up the role, but I am glad he finally came on board,"
The film brings together several talented performers. Leading the pack of this ensemble cast is Sonakshi Sinha along with Varun Sharma, Annu Kapoor, Kulbhushan Kharbanda and Nadira Babbar. The film is produced by Bhushan Kumar, Mahaveer Jain & Mrighdeep Singh Lamba, Krishan Kumar will release on 2nd August 2019. What? Alia Bhatt has already Decided her Daughter's Name! Nawazuddin Siddiqui BACKS yet another Biopic!